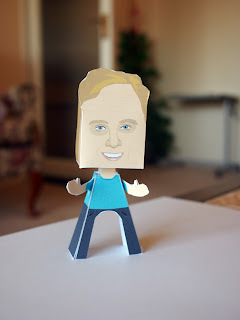 This paper people craft is the Jay Mohr, papercraft was designed by sally. Jay Ferguson Cox Mohr is an American actor and stand up comedian. He is known for his role as Professor Rick Payne in the TV series Ghost Whisperer, the title role in the CBS sitcom Gary Unmarried, which ran from 2008 to 2010, as a featured player for two seasons on the long running sketch comedy show Saturday Night Live, and the back-stabbing sports agent Bob Sugar in Jerry Maguire.